Discussion in 'Standard Guitars' started by SharkGun, Dec 2, 2013. 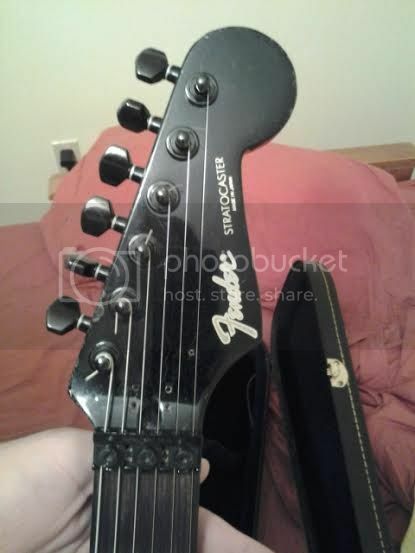 It's a Contemporary Fender Stratocaster (I think its a 1985 or 1986, I'll do more research when I get it in the next few days.) I've never seen one in HH so I think it may have been altered but still a steal for what I paid for it. Though you dont have any pics up I know the contemporary series and I love them. Some of the best to come from fender japan. 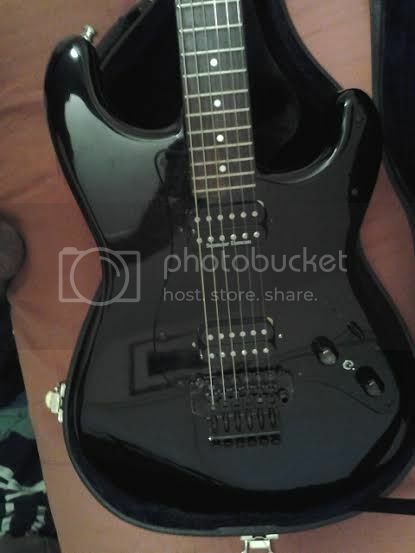 My friend had a contemporary tele with a black neck and copper colored body. 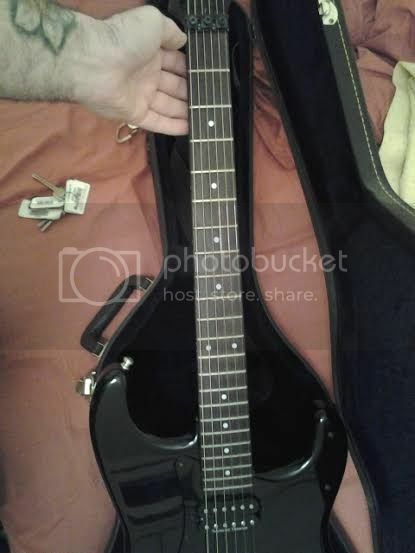 His was HH configuration and I do believe they made a strat model with HH as well. Really great guitars. My friend ended up parting with it but still feels to this day it was a mistake. Heres some pics, hopefully this works. Score.....those MIJ Strats are nothing but great. You're gonna love it. HNGD man. Sounds like you got a good deal. Looks pretty great too. That classy all black look.